Ather bikes price starts at Rs. 1.13 lakh for the cheapest bike 340 and goes up to Rs. 1.13 lakh for the top model Ather 340. Ather offers 1 new bike models in India. 340 (Rs. 1.13 lakh), are among the popular bikes from Ather. Select a Ather bike to know the latest offers in your city, prices, variants,	specifications, pictures, mileage and reviews. Q. 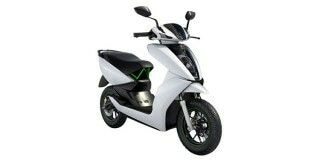 Could you suggest which electric scooter should I choose between Ather 450 and Okinawa? Q. Can I use this bike on hilly area? Q. How much Weight it Carrie's? Q. What is the electricity consumption? Q. How much time it takes to charge full? Ather Energy 450 comes with a 2.4KWh battery pack and takes around 4-5 hours to get fully charged. Royal Enfield to go electric? What's different in the race-spec RR 310? And more latest developments from the motorcycling world.